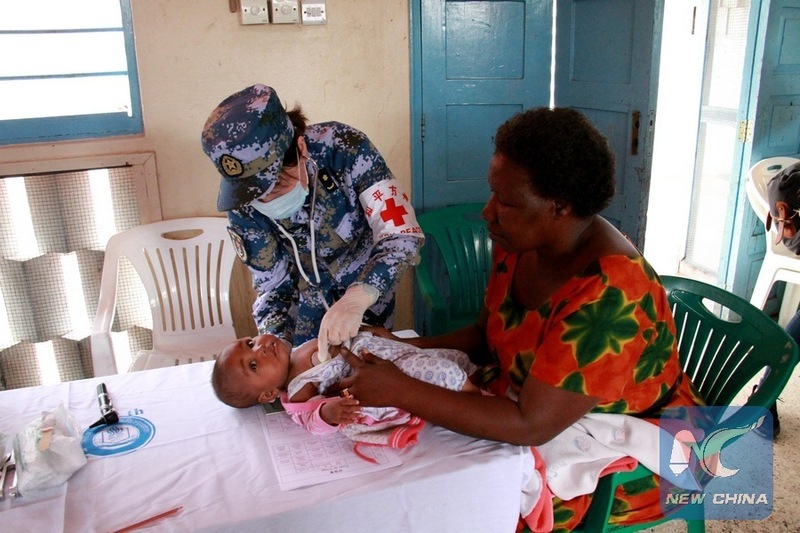 DAR ES SALAAM, Aug. 21 (Xinhua) -- China and Africa have enjoyed a long history of cooperation in terms of health. The presence of Chinese medical teams is now a common feature in most sub-Saharan countries where they are saving the lives of tens of thousands of people. Since China sent out its first medical team to Africa in 1963, China has exerted all means to assist Africa, including building medical institutions, providing medicines and medical devices, organizing training sessions, and offering scholarships to assist Africa's health infrastructure building, capacity building and talent training. 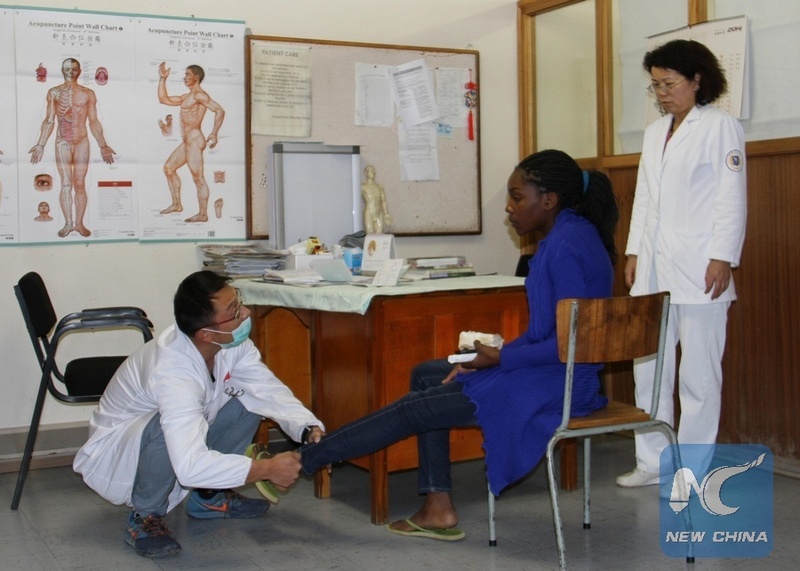 From Addis Ababa in Ethiopia to Windhoek in Namibia, Chinese medical staff of 43 medical teams are working round the clock providing medical services to local residents across Africa. 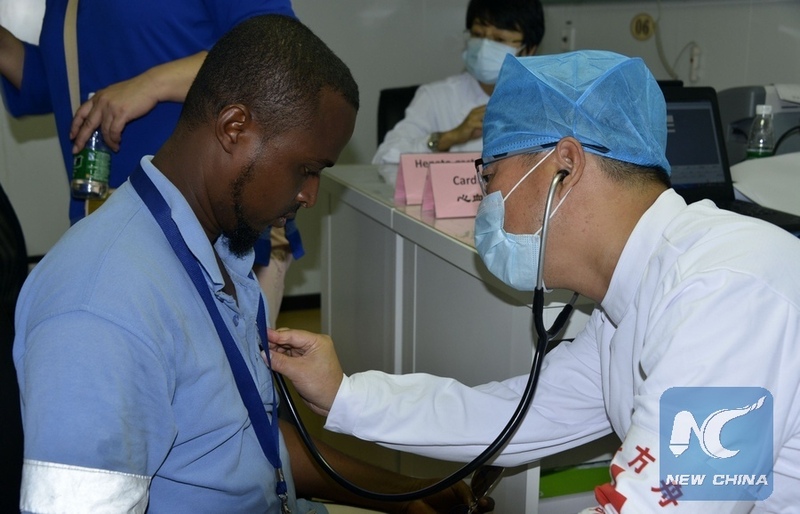 China has sent over 20,000 medical workers since 1963 and some 200 million African people have benefited from medical service of Chinese medical teams in Africa. 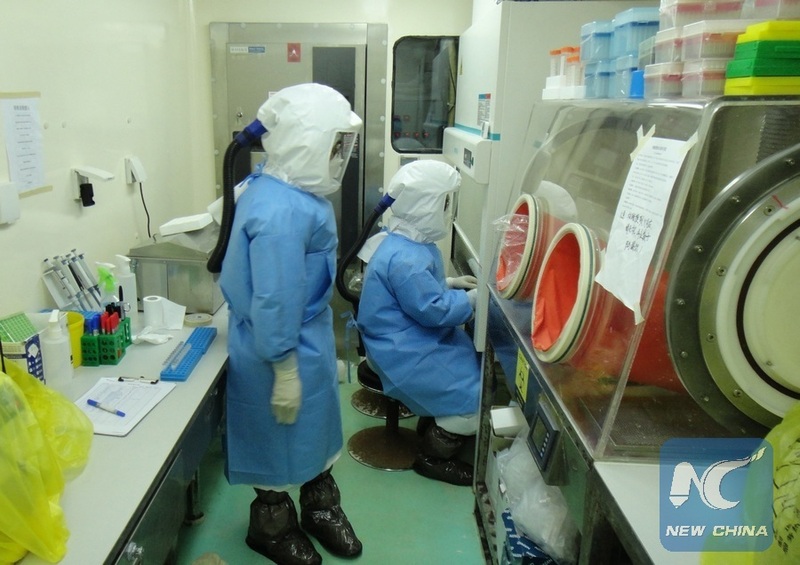 When the outbreak of Ebola virus disease picked up pace in West Africa in 2014, China sent medical workers and experts to help with no hesitation. In February 2014, an Ebola epidemic broke out in Guinea and later spread to Sierra Leone and Liberia, while other countries also reported infection cases. The outbreak claimed hundreds of lives in months and posed a great threat to those affected countries. 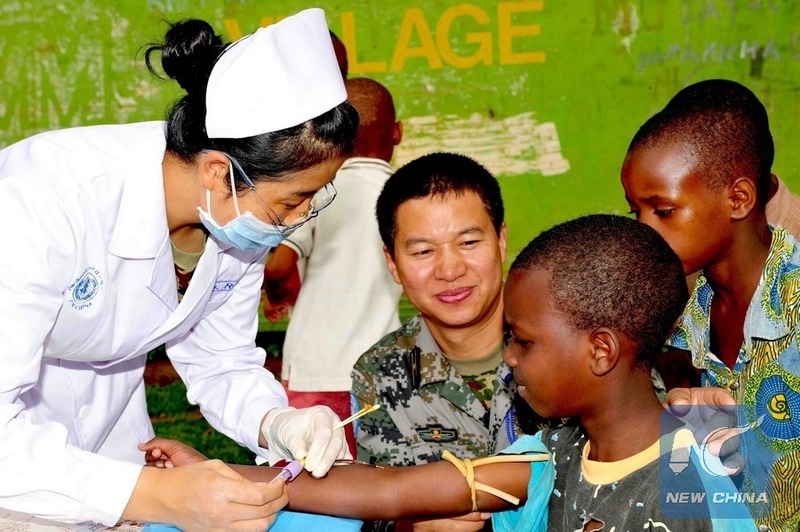 Since the outbreak, China has carried out its largest aid program in health area, providing several rounds of financial aids to Africa, sending hundreds of medical personnel and public health experts to the affected countries and training local medical workers on the continent. "China has always stood with Liberia as a true friend," the then Liberian President Sirleaf said, noting China's assistance and contributions to her country's fight against the Ebola disease should be appreciated by all Liberians. In Tanzania, Chinese medical team is a household name across the country where China has been sending teams of doctors since half a century ago. According to Chinese Ambassador to Tanzania Wang Ke, medical and health cooperation between China and Tanzania began in 1964 and 1968 when the Chinese government started sending medical teams to Zanzibar and Tanzania mainland. 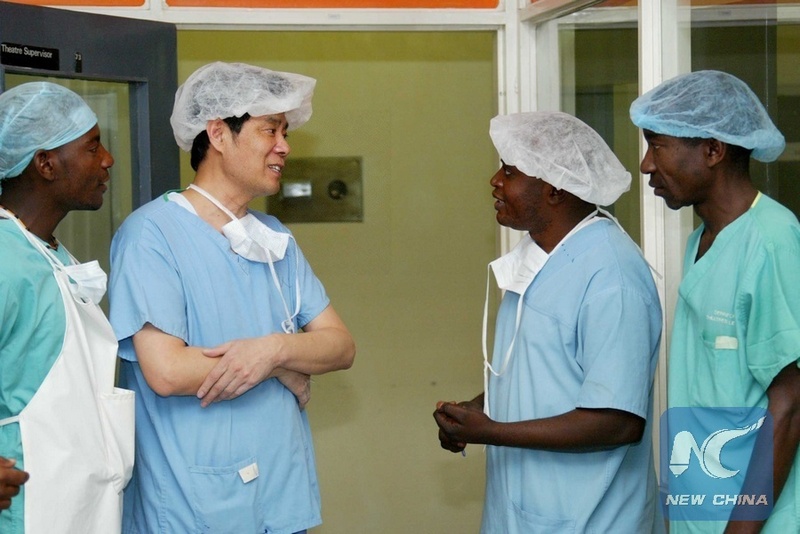 Wang added that a total of 32 Chinese medical team members are currently working at the Muhimbili National Hospital, the Jakaya Kikwete Cardiac Institute, the Muhimbili Orthopaedic Institute and in hospitals in Zanzibar and Pemba. In November last year, Chinese navy hospital ship "Peace Ark" visited Tanzania and provided 6,441 Tanzanians with free medical treatment. Tanzanian President John Magufuli thanked Chinese doctors for treating the patients in the Chinese naval hospital ship Peace Ark during its eight-day stay in Tanzania's commercial capital Dar es Salaam. Magufuli said the move by the Chinese government to send the Peace Ark to Tanzania has further improved the relationship between the two countries. "The coming of the ship has written a new history in the cordial relationship of the two countries," he said. 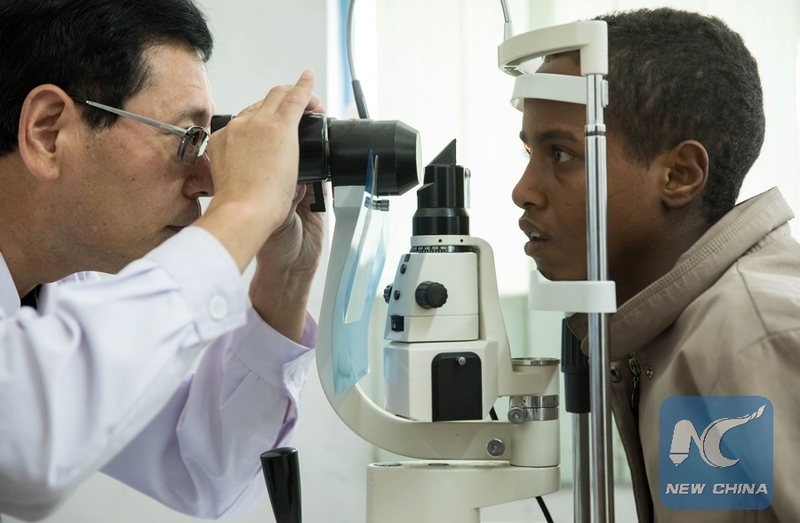 In Ethiopia, Chinese medical teams have more than nearly 45 years of working in Ethiopian cities and towns, and authored their stories of success and dedication. Mei Gengnian, head of the first Chinese medical team to Ethiopia, died in 1975 in a car accident while he was serving local communities in Jimma town of Oromia regional state, 380 km south of Addis Ababa. Buried near the spot where he died, his grave is being tended by a local family, and Mei's son has followed his father's footsteps by joining a medical mission to Ethiopia. Amid success and dedication, China-Ethiopia health cooperation is continuing to progress as both sides have learned valuable lessons from each other. He said the doctors worked diligently during their tour of duty as evidenced in improved service delivery in the four hospitals where they were stationed in. Zambia and China, he said, have developed cordial relations in the last 40 years in the health sector which has resulted in the improvement of both infrastructure in the sector and capacity building of health personnel. "We would like to express our gratitude to the team for helping in strengthening our health system. 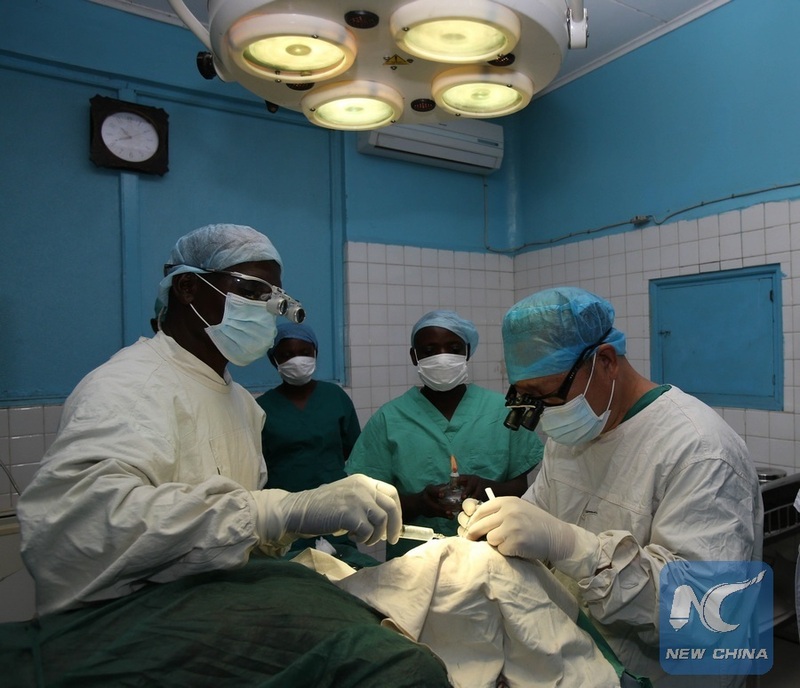 Since 1978, Zambia and China have collaborated in the health sector," he said. In 2015, the Forum on China-Africa Cooperation summit in Johannesburg listed public health cooperation as part of the 10 China-Africa cooperation plans, lifting China-Africa health cooperation to a new level. China and Africa have also seen deepened cooperation in the health sector thanks to efforts from both sides in recent years. Besides, medical service such as China-led Brightness Action campaign and medical training has also witnessed achievements. In the Republic of Congo, since the China-led Brightness Action campaign was launched in 2016, the China-Congo Friendship Hospital (CCFH), where the Chinese medical team in the country is stationed, has been receiving modern surgical supplies and medical instruments from China to treat eye illness. Zhang Weipeng, an ophthalmologist at the hospital and also the doctor in charge of cataract surgery, said his department receives an average of 30 patients every day and many of them come to CCFH specially for phacoemulsification. The doctor, however, said some local patients are reluctant to seek treatment until their eyesight is blurred by cataract, making it more difficult for the surgery to be performed. "But as an ophthalmologist, the biggest happiness is to see my patients regain eyesight. 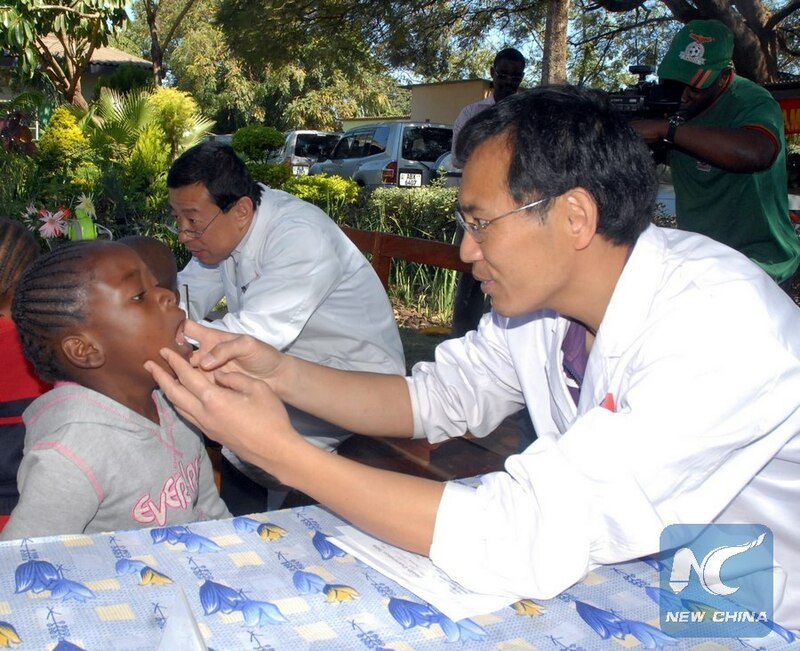 It moves me a lot to see that Congolese patients trust Chinese doctors," said Zhang. Zhang said he is also actively involved in training sessions for local people and doctors to increase public awareness of eye illness and medical officers' skills. "Give a man a fish and you feed him for a day. Teach a man to fish and you feed him for a lifetime," said Zhang, adding that only when local doctors can independently perform cataract surgeries, there will be a "permanent" medical team to provide service to the public. At a ministerial conference held with the aim of stepping up China-Africa cooperation in health in Pretoria, South Africa last year, China pledged to work with all other countries, international organizations and non-governmental organizations in addressing the global health challenge, and through South-South cooperation, to help build the health sector in developing countries. China also called for intensified efforts to improve the accessibility of Africa's health services, strengthen the public health prevention and control system and capacity-building in Africa, scale up support for the health needs of the youth and women, deepen people-to-people exchanges in health and bring more benefits to the people through China-Africa health cooperation.